Ladybugs are beautiful and extremely useful in the garden but there is so much more to IPM than beautiful ladybugs. There are many aspects of IPM and it’s not just a quick fix, but more of an interconnected system of pest control. Black bean aphids carry Bean Mosaic Virus from one farm or garden to another. Integrated Pest Management (IPM) has a long history in agriculture, of which South Africa is definitely a “Johnny Come Lately”, only beginning to use insects in the late 1990’s as a form of pest control. We have been slow adopters when it comes to this important tool in organic agriculture. IPM started as a science in the US in the early 1960’s but the Chinese were using crude forms of IPM on citrus trees as early as 300BC. Very basically, IPM is using a mix of approved chemicals and insects to reduce the population of pests below a point of acceptable economic damage. The point of acceptable economic damage will differ from farm to farm and crop to crop. Suffice to say that small scale farmers and home gardeners will experience a far greater percentage of damage in a shorter space of time than a commercial farmer. So nature creates balance, and sorts out all the baddies right? So if that’s the case, what happened to all of our beneficials then? First-off what needs to be understood is that beneficial insects have a really tough time. They need pests to multiply efficiently and surprisingly, the pest “crop” actually needs to be a clean and healthy pest crop. If the pests were sprayed with chemical pesticides and they in turn build up a tolerance to the pesticide, they will kill the beneficial population off. Think of the owls that die from eating rats and mice that have been poisoned. This is exactly the same, just on a smaller level. Farmers very often have to increase the pesticide dose as the pests have built up a resistance. Or even scarier, they will mix pesticides to increase the efficacy or just to save money by only spraying once. All of this allows pests to build up tolerances to pesticides. 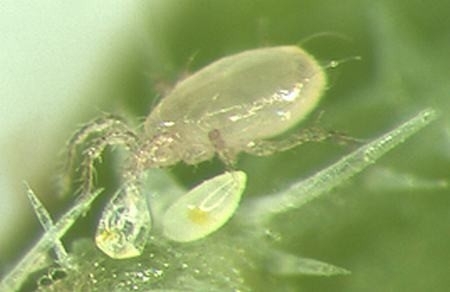 This is critical when two different pesticides are mixed for two separate target species, the one pesticide has no effect and is absorbed into non-target pests, but still kills off the beneficials. This is the single most common reason for low beneficial insect populations worldwide. 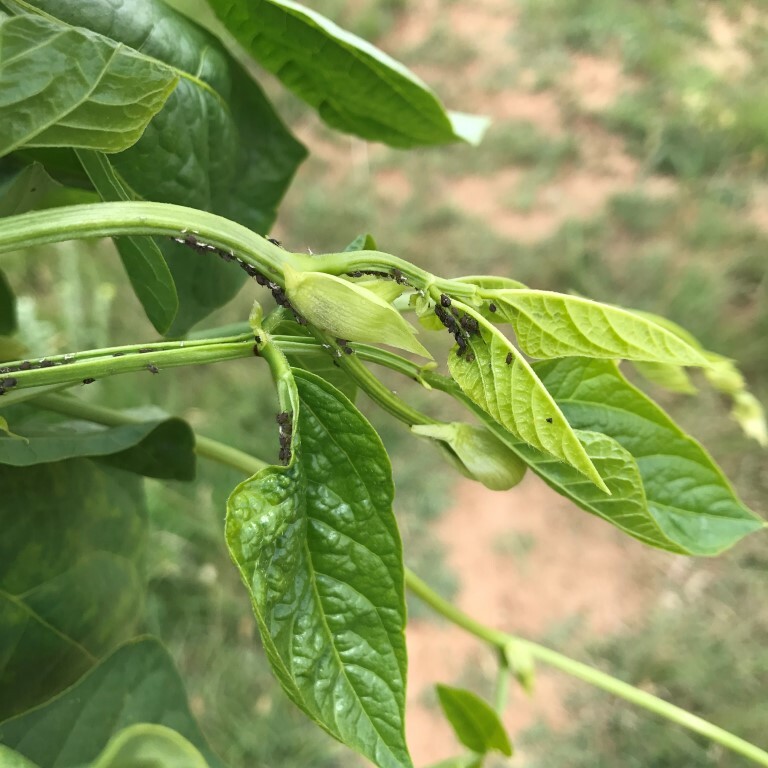 The beneficials are actually killed off by the pests they are trying to control, as the pests will carry a pesticide load that is toxic to any beneficials. In addition to the pests actually killing off the insects that are predating on them, pesticide residues are persistent in the environment, and will have a lasting negative effect on any beneficial population that is trying to establish itself. So the farmer or gardener that regularly uses any form of chemical pesticide, will not only be killing off the “target pest”, but any beneficial that is trying to establish itself too. For home gardeners and small scale farmers, you may be doing everything right on your own property, but you are unable to control what is happening at your neighbours’. What your neighbours do, will have a direct impact on beneficial insect populations as well as pest loads on your property. The most important question when introducing IPM’s onto your property is: Are they safe for the environment? Common questions are; Will these guys breed up and harm the environment? other beneficials? create a plague? etc etc. These are good questions to ask, and it’s critically important for people to ask the questions, as is providing the correct answers to these questions. 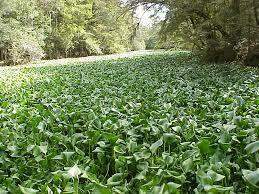 One analogy that was recently brought up is the Water Hyacinth that has been released into our waterways. The Water Hyacinth was smuggled/released into South Africa illegally in the early 1900’s mainly for its beautiful flowers in waterscapes. It has now become a major invasive weed and has created significant environmental and economic damage. For more information on how it’s being controlled, please see here. It must also be noted that IPM’s are currently being used to try and combat Water Hyacinth, but not all of them will adapt to our environment. When it comes to insects, they are a lot harder to control, one needs to be more circumspect and rightly so. The Harlequin ladybug is one invasive insect that was probably unintentionally introduced when someone probably smuggled a plant cutting(s) with a few eggs attached into South Africa. The harlequin ladybug was never released as an IPM agent and was never subjected to the stringent vetting and bio-control process required when bringing any new IPM agent into the country. The Harlequin Ladybug is such a massive issue that a citizen science project has been established. To get involved click here. It is interesting to note that the majority of invasive species are smuggled in by people that think they are smart by bucking the system. Yes, there are accidental releases (Khakibos and the Argentine ant come to mind) but by far it is people that break our Bio-sanitary laws that are the greatest problem. Are the BioBee IPM’s that we supply, safe? This is an important question and one that properly needs to be addressed. I’m going to run through a number of points below, and any one of them will hold up their own, however all of them combined should give you real peace-of-mind. First off these beneficial insects have gone through years, yes, years of testing and vetting via DAFF to ensure that they will not have any detrimental impact on our environment. In addition, private agricultural Co-Op’s have done their own investigations and studies to ensure that they will do no harm to our local fauna and flora. These scientists have, over the years built up a body of evidence and testing protocols to ensure that there are no adverse effects to the environment. It is critically important to note that every single one of these IPM’s have previously and independently established themselves in South Africa prior to being released as a commercial IPM product. How they became naturalised is unknown, however as with the Harlequin ladybug example above they were probably imported along with plant material either legally or illegally. DAFF will not issue an import permit for any organism that does not already occur in South Africa. Some of our IPM’s are locally bred and others are imported on permit. They have been vetted and that vetting is a continuous, ongoing process. At any point, approval can be recalled if anything untoward is found. In South Africa BioBee IPM’s have been released onto thousands of hectares in various provinces in both open field and enclosed greenhouses and a very wide array of crops from orchards, vineyards, open field vegetable production, ornamentals like roses, carnation etc and in enclosed controlled greenhouse environments and have been monitored since 1999.This gives 18 years real solid data that has been used to verify that none of these IPM’s have had any negative or detrimental impact to our environment. One argument that I hear is: “This is corporate agriculture and they will do anything to make a quick buck.” Yeah…actually, it’s faster, cheaper and far easier just to spray pesticides. If you look through our IPM catalogue, you will note that the majority of these IPM’s have a very narrow target pest range. Once the pest is gone, the IPM will invariably die out as they cannot feed off other pests. Those that have a more catholic diet and eat a variety of pests will be able to control more pests for longer, but once again cannot make the jump to an alternate food source and will again die out. Many of our common pests that that are targeted with IPM are imported invasive pests that do not have any natural enemies in South Africa, which is why they are so successful. If you are looking for a predator to control these pests you will have to get a predator that does not occur here. The added benefit of this is that one can be selective and only choose a predator that is pest specific, targeting only that pest. Which is exactly what BioBee has done. If you look at all of the reasons above, either singularly or combined, you will see that this is not a light endeavour just to make a quick buck, we are here for the long-haul. Why is Livingseeds selling IPM’s? Very simply, many of our clients have asked us to source IPM’s via our Newsletter and via our Facebook page. We have done the due diligence, and BioBee IPM’s are the best available, they have the longest track-record and provide tangible solutions that work. Typically, IPM’s are un-affordable to the average home gardener or small scale farmer, there are many costs that need to be accounted for and it only makes sense if these are sold in large volumes to commercial farmers. We have an agreement with BioBee that we are able to use the purchasing power of thousands of home gardeners and small scale farmers across the country to enable access to these important IPM’s to small scale users. 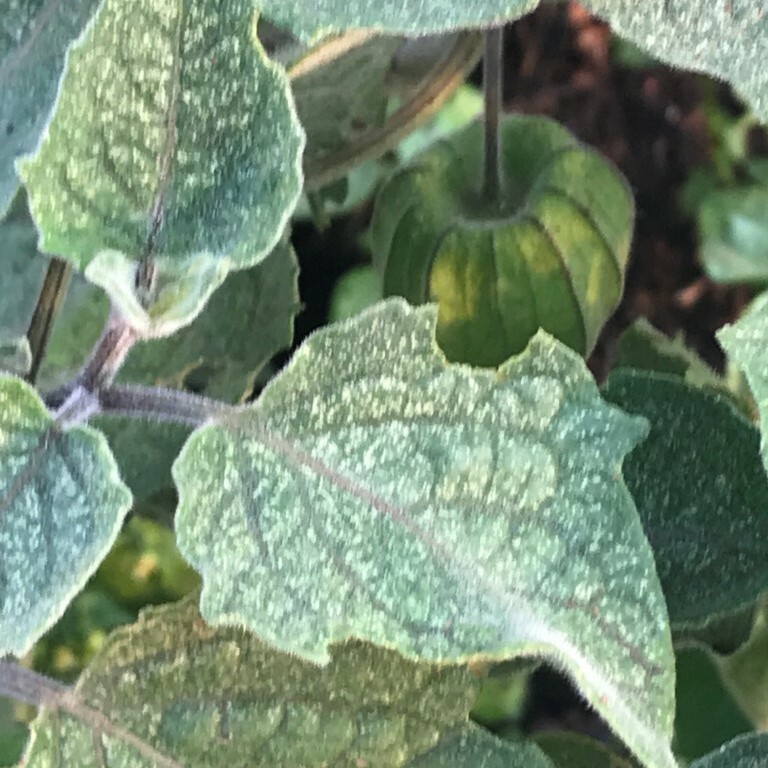 If you are a small scale farmer or home gardener, then Livingseeds is your only source for the most comprehensive and more importantly, affordable range of IPM’s. It needs to be understood that using IPM’s is a combination of using both beneficial insects and approved pesticides. Livingseeds has only supplied BioGrow organically certified pesticides for many years. It’s what we use on our farm, and we know that they work. It’s very interesting to know that certain of the BioGrow products actually stimulate the breeding of certain beneficials, once again proving to us that we have made the correct choices from the very beginning, choosing only the best products for our customers. We would strongly recommend that you release the IPM’s in the manner directed on our website and/or on the packaging. If it is not done correctly, they will not work. Certain IPM’s need to have any symbiotic ants removed, as the ants will attack the beneficials to protect the aphids / mealybugs. The ants will also transfer the pests to other plants, further spreading your pest infestation. The easiest way to do this is to mix Borax and Sugar in a 50:50 ratio with a little water, to make it very slightly moist. Place this in a jar lid or bottle cap near the ants nest, the ants are drawn to the sugar, and the borax will alter their internal pH, killing them. This mix is 100% safe and will not harm any other animals or fish. Next, use our BioGrow products at the lowest dose recommended on the bottle in conjunction with your IPM release. We have solutions for many of the most common insect pests that you as a home gardener will encounter, very often one beneficial will control more than one pest in your garden. Here is a brief rundown of pests that are controlled by beneficials and the appropriate IPM solution. Please note: Not all target pests are covered (example not all aphids are equal, certain beneficials will only attack certain aphid species). If I was staying on a plot or small farm I would definitely get some beneficial insects, but how effective will they be on a property one acre or smaller?. I don’t use any pesticides but I don’t know if my neighbours are? Warren, the smaller the property the more effective they are. It’s also cheaper, as you don’t need to many vials.